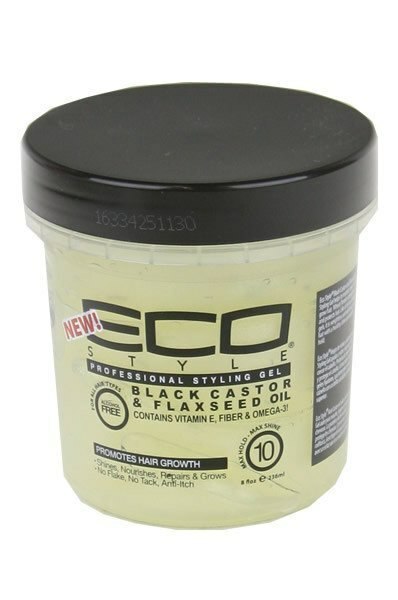 Eco Style Black Castor and Flaxseed Oil Styling Gel helps to nourish, repair and grow hair. Wheat protein strengthens and protects hair. Like all of our styling gels, it is weightless and will leave your hair with a healthy shine and superior hold.